He knows exactly what works and what doesn’t work when it comes to building a successful network marketing business, because of his experiences in the field as a distributor. 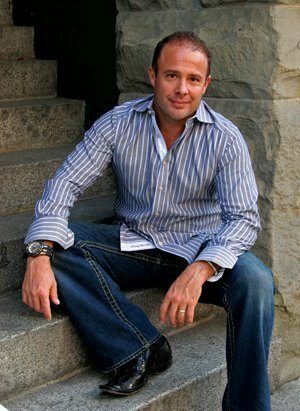 He is the President of Reach4Success, LLC and is the author of several powerful training programs and books, Little Black Book of Scripts, Fearless Networking, Insider Secrets to Recruiting Professionals, How to Win in the Game of Prospecting and Cracking the Code to Success in Network Marketing, just to name a few. For more information on his training programs, visit his Products page on this site. Todd also hosts one of the longest-running training calls in the entire network marketing profession. For over 15 years, he’s been hosting a live training every Monday night where he teaches strategies for achieving success in network marketing. Todd’s distinctive style of candid, in-your-face training, layered with comedy has his audiences both laughing and learning at the same time. If you're looking for a high energy, entertaining speaker with real experience in network marketing, Todd is at the top of everyone's list. BOOK TODD FOR YOUR NEXT EVENT!